Bandai Brewery is located in one of the most scenic cities of Shizuoka Prefecture, Izu Peninsula formerly called Shuzenji. The city has recently been included into a larger city called Izu City, but people and tourists certainly don’t mix the two when they say they are going to Shuzenji! One can reach this city also famous for its hotsprings and Japanese inns by taking a local train from Mishima City. 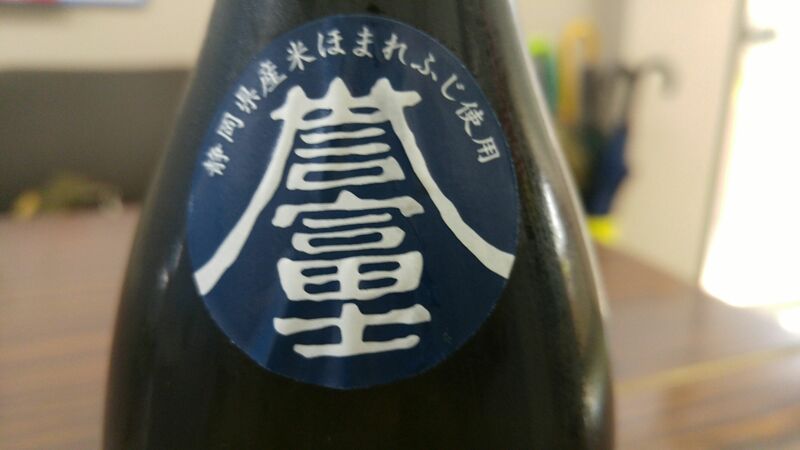 When you go down at Shuzenji Station, don’t forget to visit the souvenir shop where you will find all the products of Bandai Brewery, including real wasabi shochu! Bandai Brewery is one of the oldest breweries in the Prefecture and its history under other names can be traced back to the 16th Century! Like most of the other sake breweries in Shizuoka Prefecture, it has started to use locally grown sake rice to ensure a stable output. 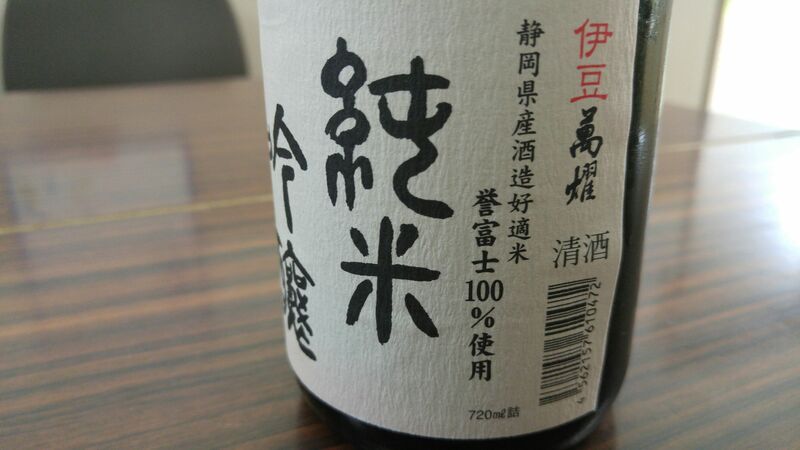 Taste: Strongish attack with junmai petillant and a lot of fruit. Warms back of the palate. Well-rounded backed up by pleasant alcohol. Complex: banana, gum-candy, almonds with memories of coffee beans later. Softens with food to turn dry again on its own. Almonds and banana tend to follow each other alternatively. 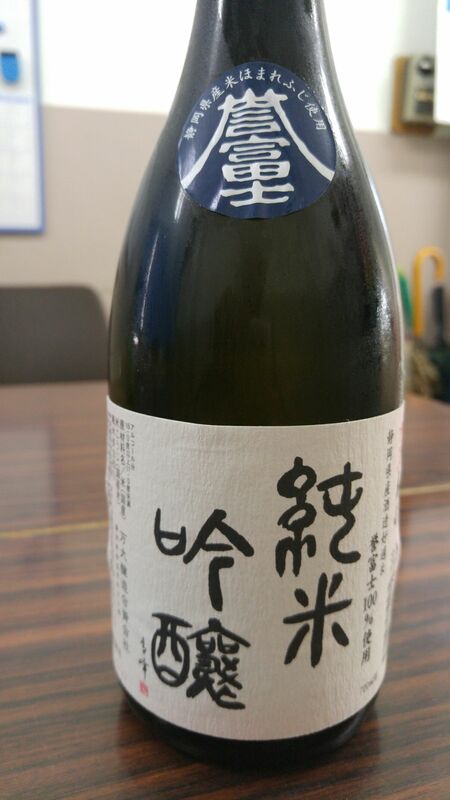 Overall: A sake you might as well drink chilled as it is quite sweet in spite of a +3 dryness level (quite dry by Shizuoka standards). One of those sake you can pour over an ice-cream! Very pleasant. Tends to get drier with food. Would very well accompany blue cheese like a Port wine, or being drunk as a digestif! 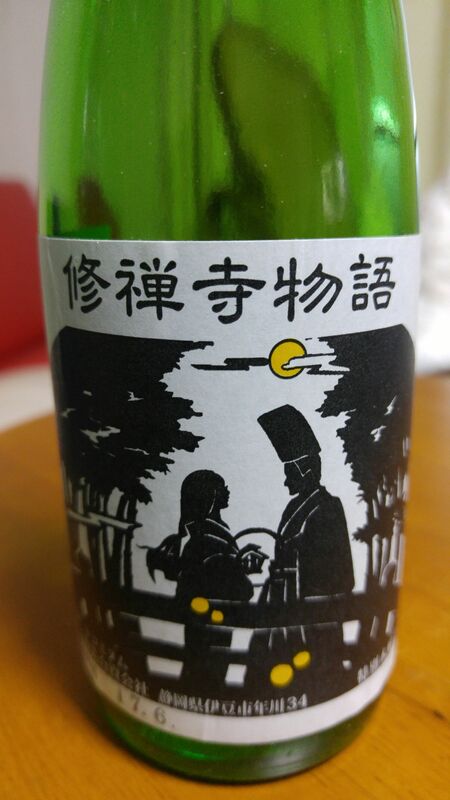 I was pleasantly to surprised to discover that particular bottle at Isetan Department Store in Shizuoka City, considering that Bandai Brewery sake (Shuzenji, Izu Peninsula) are pretty difficult to find away from their locality and the fact the store named above is simply hopeless when it comes to drinks. Only last month I threatened them to report their mistakes to the Shizuoka Association of Sake Brewers when I found that Morimoto Brewery had been relocated to Kakegawa City. The first person I complained to almost shouted at me that the Brewery had been acquired by someone in Kakegawa City… They found out quickly they had proferred the wrong words to the wrong person! This said, I still thank them for offering Bandai Brewery sake! Aroma: Discreet/fleeting. Slighlty sweet. Ricey. Greens. Taste: Complex. Junmai tingle. Elegant. Light. Greens. Bitter chocolate and vanilla appear later. Overall: Elegant. Difficult to define/discern. Goes very well with food. Would become a real poser at a tasting session. Drunk it on Christmas with foie gras. Made for a great combination. Stays soft with a lingering tingle with food. Happened to also drink with chocolate. Turned very dry and interesting, then. Taste: Soft at first. Fruity: almonds. Welcome acidity lingering in mouth. Tends to change with food. Bitter chocolate appearance. Overall: Surprisingly pleasant for Futsushu. Easy to drink. For all its announced dryness, quite soft. 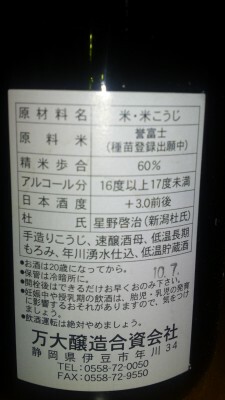 Drunk “nuruma”, almonds backed up by increased acidity. Becomes more velvety and finishes with bitter chocolate. Conclusion: never underestimates a Shizuoka Futsushu! 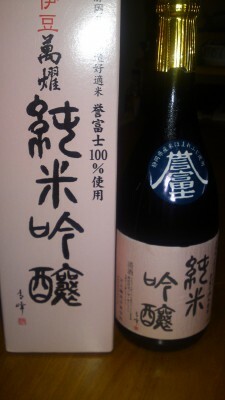 I have wanted for some time already to taste and find out about a “kuromai/black rice sake”. 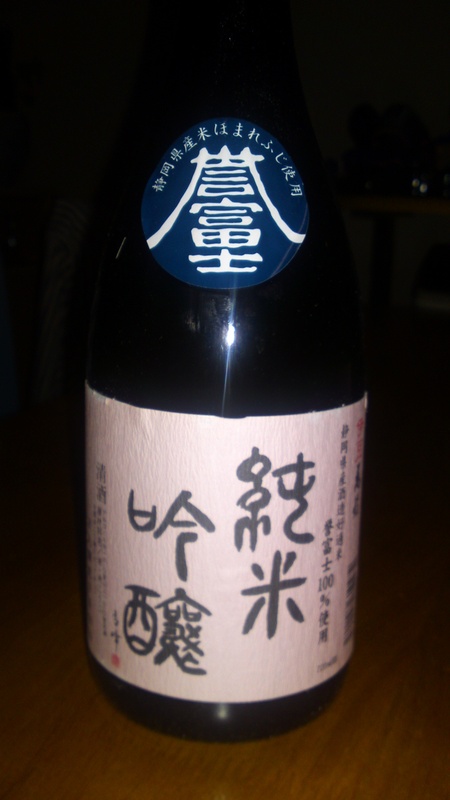 I was finally able to acquire a bottle during my last trip to Shuzenji in Izu Peninsula. 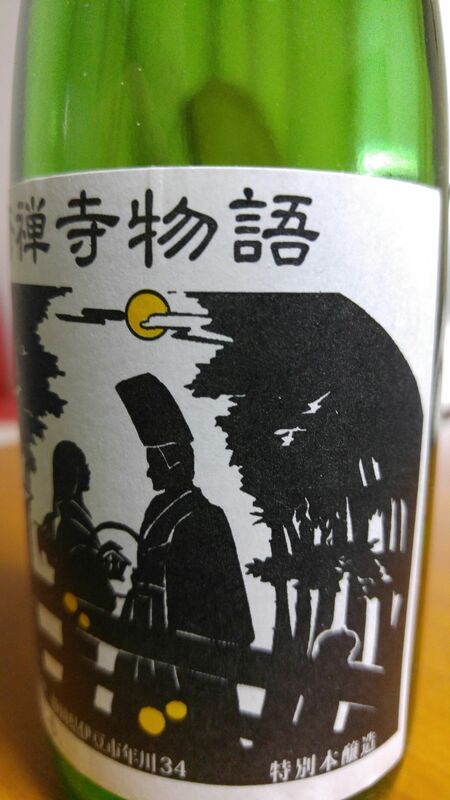 the sake is called Kuromai Yondai Shikomi Seishu and is brewed by Bandai Brewery. Taste: sharpish and tingling. 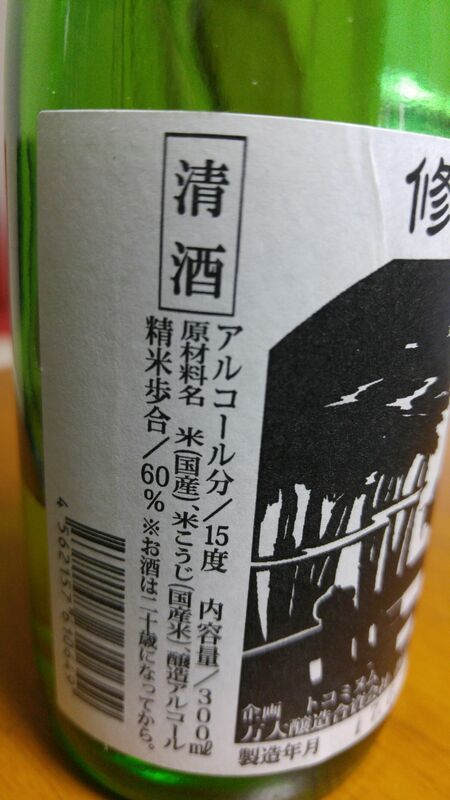 Dry, almost like a shochu/whisky. Malty taste. Dry persimmons. Gets easier to drink with the next sip. 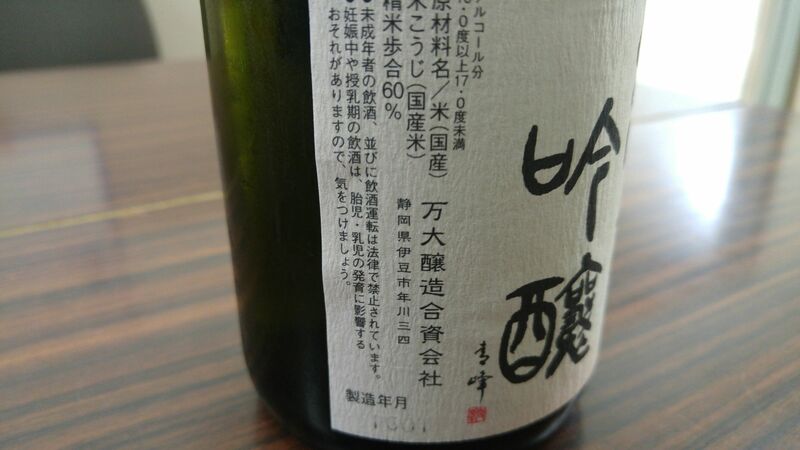 Overall: A very dry sake, vey macho. Might be best drunk as “kan/warm”. Goes down well with oily foods as it turns a little sweeter in palate.